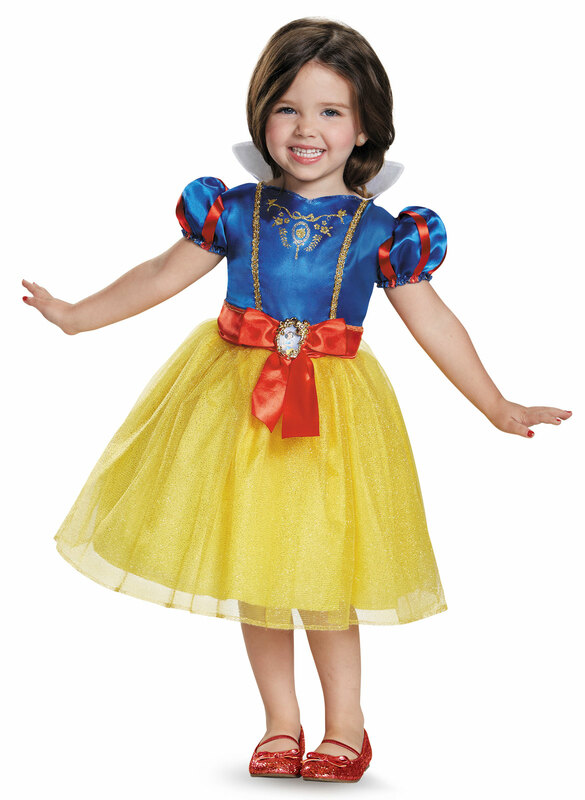 This costume includes a dress with a Snow White embellishment.. Does not include shoes. This is an officially licensed Disney Snow White costume. Your girl will look like a fantasy in this Snow White costume but beware from wicked evil queen. Bring to life the most magical beauty from Disney classics for one day and disguise yourself like Snow White. Transform yourself in the most enchanting and elegant Snow White princess. Memories are always kept for lifelong time and special ocassions come for capturing these memories. Some costumes are timeless without any fashion and trend boundation. Show your creative mind with Disney Princess Snow White Classic Child costume.